The #1 Towing Service in Springdale! Sprindale’s premiere Towing Company is committed to providing each customer with exceptional customer service. We focus on three areas of outstanding towing service in Springdale and the surrounding areas. We will answer your call for towing service in Fayetteville. If it happens that we are in call with another customer and we cannot answer your call . We promised to call you back. We understand your situation and that’s the only thing that you can do. That’s why we’ll answer your phone call or call you back. 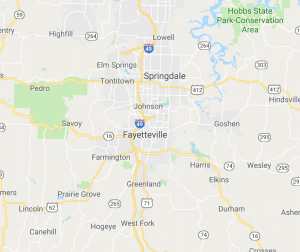 We will provide you with affordable towing service in Fayetteville. It is so unfortunate when someone take advantage of you during your most difficult time. You don’t need to worry. We promise to be fair with our price and affordable towing company. We know that you have a lot of options and we are thankful if you choose us to give you extraordinary assistance. We take that with affordable price. Texting While Driving is ILLEGAL in Arkansas. After all, that’s what most of the public wants. In 2013 AAA Auto, the parent company of AAA Towing, completed a survey that revealed that 92% of registered voters favored legislation banning all persons from operating a moving motor vehicle while reading, manually writing or typing or sending a message on an electronic wireless communication device.